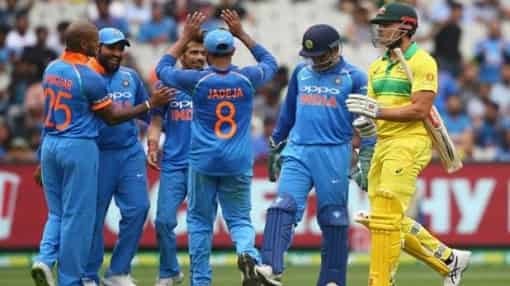 India wins ODI series 2-1 in Australia Creates History: India has won the first ever bilateral (bilateral) ODI series on Kangaroos. India wins ODI series 2-1 in Australia Creates History: For the first time in 70 years, India, who created history in this country by crushing host Kangaroos in the Test series, is now in the process of winning the first bilateral (bilateral) one-day series on Australia’s ground, Have done great adventure ‘. By defeating Australia by 7 wickets in Melbourne one day, India has won the first bilateral (bilateral) one-day series on Kangaroo’s ground. With this one-day series win, India has lost the series without any series without the end of the 2018-2019 Australian tour. This is the first time in 70 years when India has won two series (Test and ODI) on their own tour in Australia. India finished the three-match T-20 series 1-1 against Australia. After that, it was a historic win by 2-1 in the Test series, and now the ODI series has also been successful in winning India 2-1. Talking about the one-day series, Team India has played 12 series on Australia before, but if one series is left in it, the rest of the series will be in the multi-million one-day series. The only bilateral ODI series between India and Australia was played in 2016. India suffered a 1-4 loss in this five-match series. If the overall record is seen, India has played a total of 51 ODIs in Australia, winning 13, while 36 lost and two remained unchanged. Team India, by the way, has won two ODI series in Australia earlier, but it did not have a bilateral (bilateral) but the Multinational ODI series. India won the Benson & Hedges World Championship Tournament in 1984-1985. After this, India had its name in the 2007-2008 Commonwealth Bank ODI Tri Series. In 1984-1985, India won the Multinational ODI tournament on Kangaroos’ land under the captaincy of Sunil Gavaskar. In a match of this tournament, India beat Australia by eight wickets in a match. Benson & Hedges World Championship was very important for both India and Australia in 1984-1985 on MCG. Needing to knock out Team India, Australia needed 223 runs to stop the visiting team from 160 runs. However, thanks to the spectacular bowling of Roger Binny (27/3), India had batted first, all-rounded Australia out for 163 runs. After this, Krishnamachari Srikanth fired the Australian bowlers and gave the Indian team a memorable win of eight wickets. Srikanth made 12 fours in his unbeaten innings of 93 runs. After this, India won the Benson & Hedges World Championship trophy by defeating Pakistan by eight wickets. Team India played a spectacular performance in the 2007-2008 Commonwealth Bank Series with Mahendra Singh Dhoni’s captaincy. In this tournament, Gautam Gambhir scored 440 runs while Sachin Tendulkar scored 399 runs. Ishant Sharma for India 14 Irfan Pathan 11 and Praveen Kumar 10 wickets. In the first and second finals of this tri-series, Sachin Tendulkar played 117 and 91 runs respectively. Then Sachin scored his first ODI century on Australian soil. India won the second finals and named the trophy as their name. Let us know that the Virat Brigade who beat the Kangaroos in the Test has made history by winning the ODI series. By winning the ODI series, Virat Kohli has become the first Indian captain to have won the Test and Bailaratral ODI series in a single tour of Australia.